The most advanced sleep system that moulds to the shape of your body quickly for full contour support derived from NASA’s temperature sensitive material. 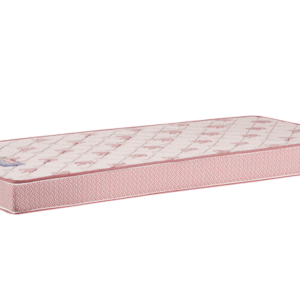 So whether you have a sore neck, lower back or other problem areas, this mattress will help in eliminating stress and pressure points across your entire body. The memory foam layer evenly distributes weight and contours to your body’s curves, which provides relief for pressure points – joints, lower back & neck. The configuration of memory foam, PU Foam and HR foam ensure proper lumbar and neck support. Adapts to your body’s natural curves and allows your spine to stay in a neutral position. Made from NASA Approved Visco Elastic Memory Foam, the mattress is perfect for sleepers with joint pains.